Playing games at any age, including during retirement, is healthy for the mind and body. Games for older adults can keep the brain active, encourage social interaction, and even help to prevent Alzheimer's disease and dementia. There are a ton of fun classes available for seniors to take. Whether you're interested in an exercise class, or something more creative, there are definitely some great options for you. For many senior citizens, group elderly activities provide social contact with the outside world. The following tips will help you find and make the most of these activities. Senior games can get you jazzed up and excited. They are great for mental acuity. Playing games at a nursing home also gets seniors socializing with their friends. Whether your playing cards or puzzles nursing home games add fun. There are many outdoor activities and games for seniors and activities that foster socializing, physical activity, and fun. These include both sports and casual yard games that can be played during parties or family events. There are a ton of senior chat rooms available nowadays. From a place seniors can chat with peers, to topic-specific forums, these chat rooms are a great place to connect with others. 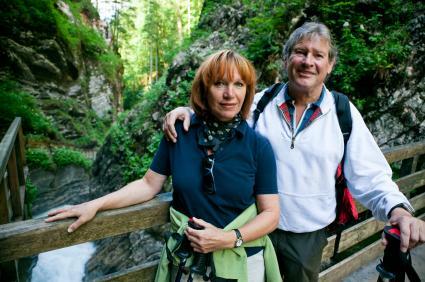 If you are looking for fun and enriching activities for senior citizens, you've come to the right place. Whether you're a senior yourself or if you are looking for information about senior activities for a parent, grandparent or other loved one, learn about activities for very an active senior, like yoga, or a less active senior, like puzzles. If you are an active, healthy senior there is no limit to the activities available to you! Think of things you've always dreamed of doing, and then do it. If you've always wanted to see the country, consider renting an RV and doing just that. Or you could book a flight and see the world. There are also fun and engaging activities closer to home. Now is a wonderful time to take up a new hobby. Birdwatching, Tai Chi, yoga, and hiking are all good, entertaining options. Dancing, cards, board games, exercise classes and other group activities provide socialization and are offered at many senior centers. Groups like the Red Hat Society can also be fun social outlets. Remember to get your doctor's approval before starting an exercise program. This is good advice for people of any age. Even if poor health limits your options somewhat, there are still many activities for you to enjoy. Puzzles provide hours of stimulating entertainment. Bingo, board games, crafts, skits, and chair exercises are other possibilities. If you need group activities for seniors in nursing homes, you can find ideas here. Options include activities meant to improve cognitive function and those meant to fulfill social needs. The site also features several photo galleries and slideshows devoted to senior activities. Check out Summer Activities for Senior Citizens, Senior Activity Ideas, and Elderly Activities. Any time you're looking for new activity ideas for seniors, visit the site again. LoveToKnow's editorial team members are always researching and publishing new content. The site is updated frequently, so there's a good chance you'll find something new every time you come back!